Lack of hydration may be one of the contributing factors why you experience skin itching. Everyone, regardless of gender or no matter how busy their schedules could be, should know how to keep their skin hydrated. The layer of your skin becomes thinner and your oil glands function less effectively as you get older. These makes you at risk with sun damage, making your skin dry and develop wrinkles. 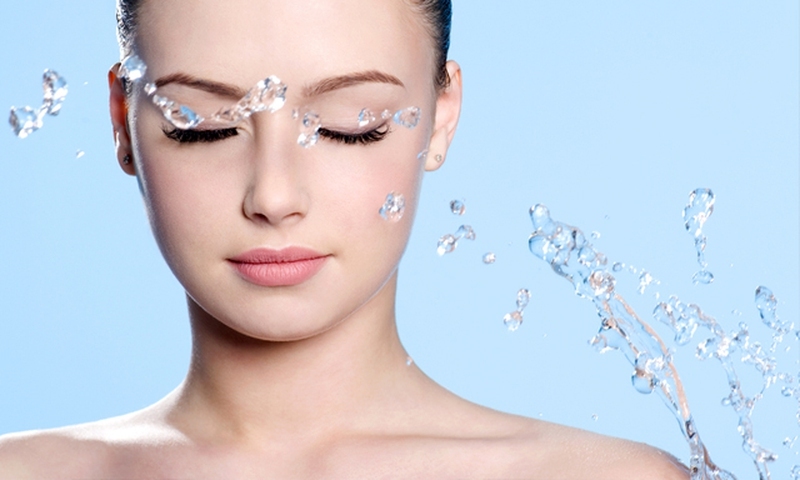 The secret is to always keep your skin hydrated to slow down the aging process of the skin. This will not only prevent you from having wrinkles but also help you have and maintain a young-looking healthy skin. Knowing how to hydrate your body by using gentle and natural products is the secret to achieving that youthful and healthy skin you always dreamed of. Sounds like a cliché right? This is what your mom always tells you. But the first thing to do is to take care of your skin from the inside. Drinking 2 liters of water a day is not only beneficial for skin hydration, but also flushes out the impurities or toxins inside your body. This is the reason why water is best for cleansing diets. Placing a humidifier in your bedroom may also be helpful to keep your skin from getting dry. Avoid turning the air conditioning or central heating system too high because these may also dry your skin. Another trick on how to keep your skin hydrated is to go organic. Like a gentle flower, our skin should be treated with tender loving care. Before using products, check their labels and know their active ingredients. Chemical containing products are too harsh and will only remove your skin’s natural oils, making it dry and trigger your skin’s defense mechanism resulting in dry and itchy skin. Face masks are a great tool to keep your skin healthy. You don’t have to splurge a lot, the ingredients are in your own kitchen! Some fruits and vegetables do not only provide energy to our body, they also contain phytochemicals and enzymes that help repair the skin and give you that youthful glow. Avocado face mask: Mash some of the fruit and mix with one teaspoon of avocado oil in a bowl. Apply it generously on your face and then wash with water after five minutes. Honey face mask: Just apply honey on the affected area and leave for five minutes before rinsing off. You may do this daily. Face mask with yogurt and lemon juice: Mix together one teaspoon each of honey and extra virgin coconut oil, one tablespoon of plain yogurt and ½ teaspoon of lemon juice. You may skip the lemon juice if you have sensitive skin. Apply on the face for five minutes then rinse. Face mask with pumpkin: Mix together one egg white, a tablespoon of pumpkin which was grated finely, one teaspoon each of sweet almond oil and tomato juice. Apply this to your skin for five minutes then rinse with water. Drinking lots of water is not the only way to hydrate you. Another tip on how to hydrate your skin is to watch what you eat. Your body can also get water from the fruits and vegetables that you eat. Coffee also has high water content and can overpower the dehydrating effects of caffeine. Avoid foods high in sodium and drinks rich in sugar as they make the body use more water to excrete nitrogen and make kidneys work harder by creating an acidic environment causing dehydration. From time to time, our skin needs GENTLE exfoliation in order to rejuvenate and repair itself. You can use a soft, dry brush made from natural fibers, and then make gentle, circular strokes from your toes to your shoulders. You can also make your own exfoliating scrub! Mix together in a glass container 1 cup organic brown sugar, 1 cup organic cane sugar and 1/2-1 cup sweet almond oil. In a few minutes, you will have your own organic exfoliating scrub! Choosing the right kind of oil for your skin type is the key to that soft and wrinkle-free skin. Oils coming from plants or other natural products are the best oils to be used on your skin. Applying the right type of oil can balance your skin’s oil production and prevents lines due to aging. You may also use these oils as make up remover, moisturizer and hair treatments. Now you know how to hydrate your skin using oil! Incorporating healthy fats to your diet is a sure way to achieve that beautiful skin. Examples of healthy fats are the eicosapentaenoic acid which preserves collagen, the one responsible for your skin’s firmness, and docosahexaenoic acid which reduces skin inflammation. You may add these to your diet by making an avocado smoothie, by adding one teaspoon of coconut oi into a cup of fruit juice, or by adding one teaspoon of olive oil into a delicious vegetable juice or broth. Moisturizing is an important step for keeping that young-looking skin. Again, choosing the right moisturizer for your skin is very important. Avoid those with colorants and perfumes as these may cause irritations and choose the one that will not clog your pores. Use a separate day cream and a night cream. Your day cream should feel lighter as this will prepare your face for your makeup while your night cream should feel heavier so it can penetrate your skin deeper and offer you lasting moisturizing effects. Make up can worsen skin problems so avoid putting makeup on dry patches. This will only make those patches more noticeable. Liquid makeup can also make them more prominent. Instead, invest on good quality mineral makeup. Cheap ones may contain chemicals that are too harsh for your sensitive skin and cause skin problems. Another trick on how to hydrate your skin is to moisturize before applying makeup. It is also advised that when you wear make up, make it as light as possible. Aside from the tips mentioned above, it is also important that you wear a good sunscreen. Most sunscreens contain titanium dioxide, protecting your skin from harmful UV rays by directing them away from your skin. The air conditioning system may also dry your skin, if you cannot avoid from staying in air conditioned rooms, try putting fresh water around you to at least retain moisture. Take care of your skin. Use lukewarm water and oil-containing products when taking a bath instead of using hot showers. Server responsed at: 04/23/2019 8:09 p.m.